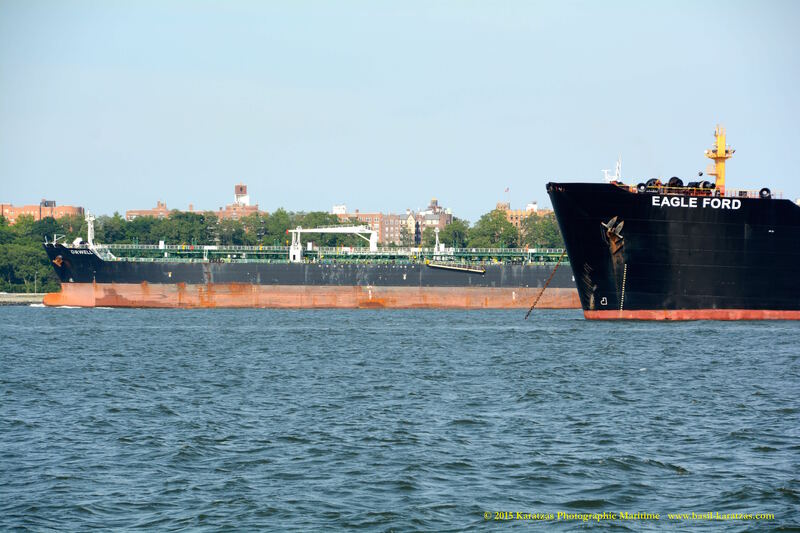 Posted on June 24, 2015 by Karatzas Marine Advisors & Co. IDENTIFICATION: Ex-name is Calafuria. Launch Name was Calafuria. Handy Tanker, Call Sign V7KG8, IMO Number 9472751. Built at Hyundai Mipo, Double Hull, Marshall Islands Flagged, ABS, BV, RINA Classed. DIMENSIONS/TONNAGES: Moulded Depth of 19.10 m., Lightship air draft of 42.63 m., Keel to mast air draft of 49.40 m., Tonnage of 24,763 Panama Canal Net, 26,840 Suez Canal Net, 14,072 International Net, 10,310 Light Displacement and 50,928 Dwt (long). Length Overall of 183.31 m., Length Between Perpendiculars of 174.00 m., Draught of 13.32 m., Beam of 32.20 m., 52.70 Tonnes per Centimetre Immersion, Gross Tonnage of 29,700. ENGINE DETAILS: Engine Description 2 S.A. 6-cyl., Engine Model 6S46MC-C7.2 MAN B. & W. Engine, Speed of 14.00 kts, Intermediate Fuel Oil, Horsepower of 10540, Bunker Capacity of 1,419 tonnes. 1 fixed pitch Propellor. OWNER / MANAGER DETAILS: Product Shipping & Trading Co SA, website: http://www.product-shipping.com. SALE & PURCHASE (S&P) HISTORY: Vessel reported sold to Greek interests *Product Shipping & Trading Co SA) in January 2015 for US$ 30m. Product Shipping & Trading Co SA is JV between the Pappas family and Oaktree in the products / chemical tanker market. SPECIALIZED DETAILS: Cargo Capacity of 53,035 cu.m., Segregated Ballast Tanks, 12 Tanks, 14 Pumps with a total Capacity of 3,600 cu.m., Epoxy Tank Coating, IMO Class 3, Heat Exchangers, Maximum heating capacity of 70 degrees Celsius, 7 Cargo Separations, Marpol Certificate. CARGO HANDLING: 7 Cargo Separations, 12 Wing Tanks with a capacity of 53,035 cu.m., 8 Cargo Manifolds, Stern Discharge, Closed Loading System, Cargo connections have diameters of 16, 12, 10 and 8 inches, Manifold height above deck of 2.10 m., Distance from bow to centre manifold is 92.32 m., 14 Centrifugal Pump(s), Maximum operating capacity of cargo pumps is 3,600 t/hr, S/Steel cargo lines, Crude Oil Washing. SAFETY AND OTHER DETAILS: Ballast Capacity of 22,478 tonnes, Satellite Communications, Marpol Certificate, High Level Alarms, Automatic Ullaging, Inert Gas System, Vapour Return Ashore, Centre Line Bulkhead. MAIN ENGINE: 1 x Diesel – MAN B. & W. 6S46MC-C7.2 2-stroke 6-cyl. 460mm x 1932mm bore/stroke – 7,752mkW total at 129rpm. AUXILIARY: 3 x Aux. Diesel Gen – Himsen 5H21/32 – 4-stroke 5-cyl. 210mm x 320mm bore/stroke at 720rpm driving 3 x AC generator(s) at 2,190ekW total, (2,737.50kVA total) 450V at 60Hz. OTHER POWER EQUIPMENT: No Shaft Generator. PROPULSOR: 1 x FP Propeller (Aft Centre) (mechanical), HHI – Hyundai EMD, 129rpm. 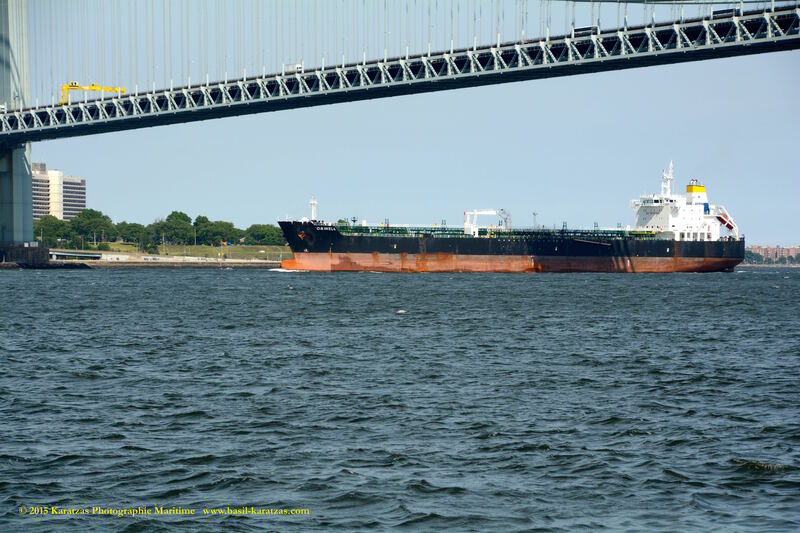 Products Tanker ‘Orwell’ (52,000 dwt, built in 2010 at Hyundai Mipo and owned by a JV controlled by private equity Oaktree) arriving at New York Harbor. Road-deck of Verrazano-Narrows Bridge visible. Karatzas Photographie Maritime. 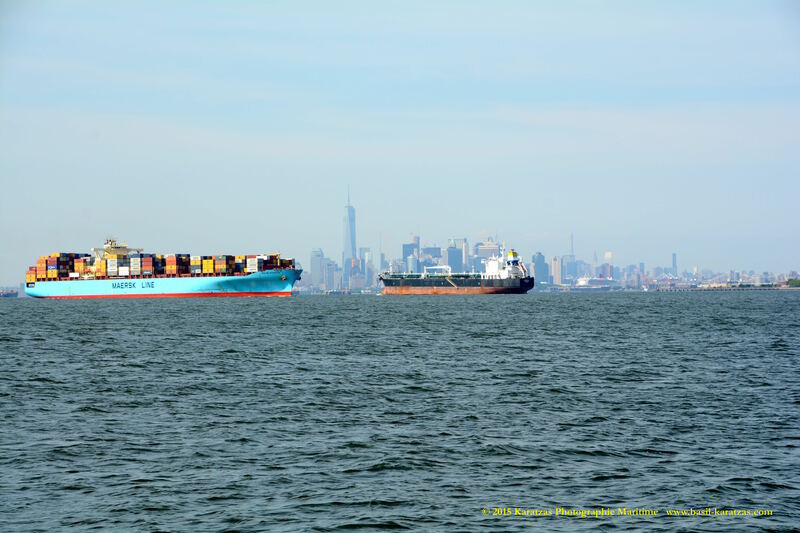 Products Tanker ‘Orwell’ (52,000 dwt, built in 2010 at Hyundai Mipo and owned by a JV controlled by private equity Oaktree) arriving at New York Harbor. Karatzas Photographie Maritime. 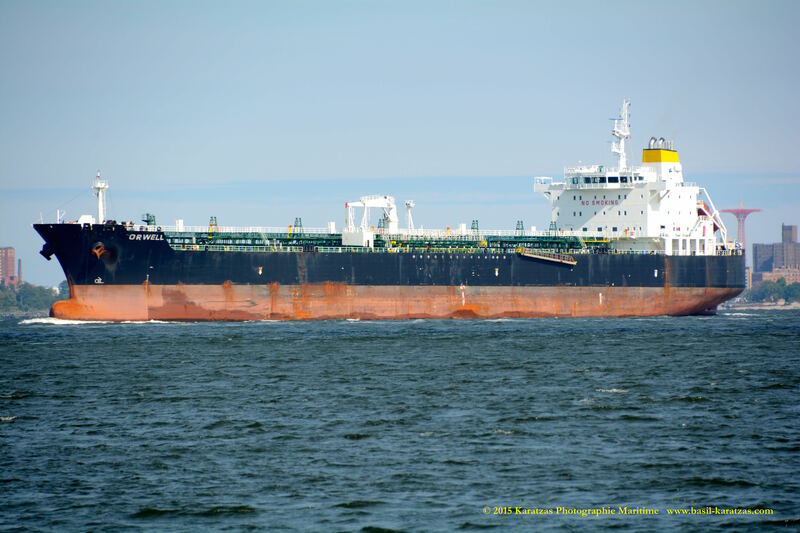 Products Tanker ‘Orwell’ (52,000 dwt, built in 2010 at Hyundai Mipo and owned by a JV controlled by private equity Oaktree) arriving at New York Harbor. 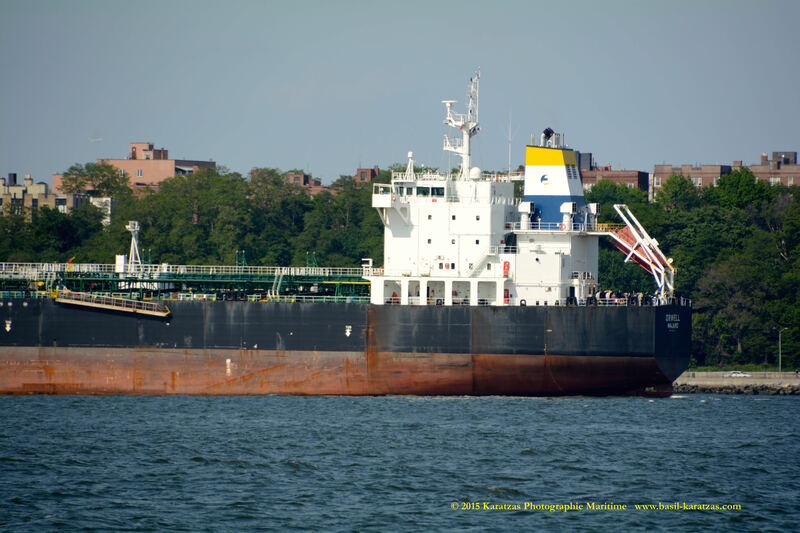 Jones Act suezmax tanker MT ‘Eagle Ford’ at anchor. 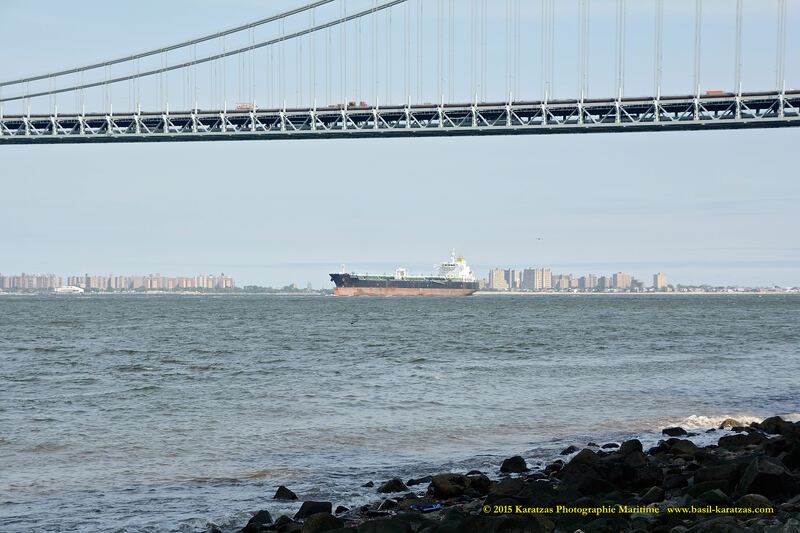 Verrazano-Narrows Bridge visible. Karatzas Photographie Maritime. 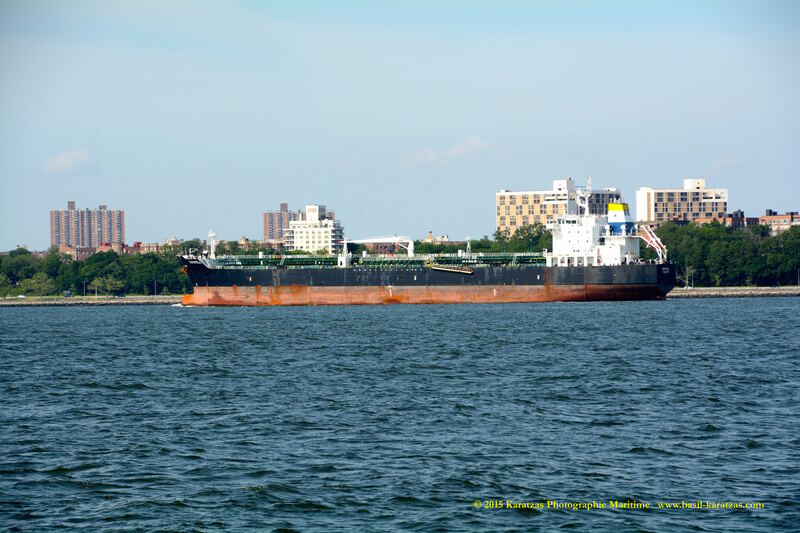 Products Tanker ‘Orwell’ (52,000 dwt, built in 2010 at Hyundai Mipo and owned by a JV controlled by private equity Oaktree) arriving at New York Harbor. Downtown Manhattan skyline and World Trade Center in the background. Karatzas Photographie Maritime. 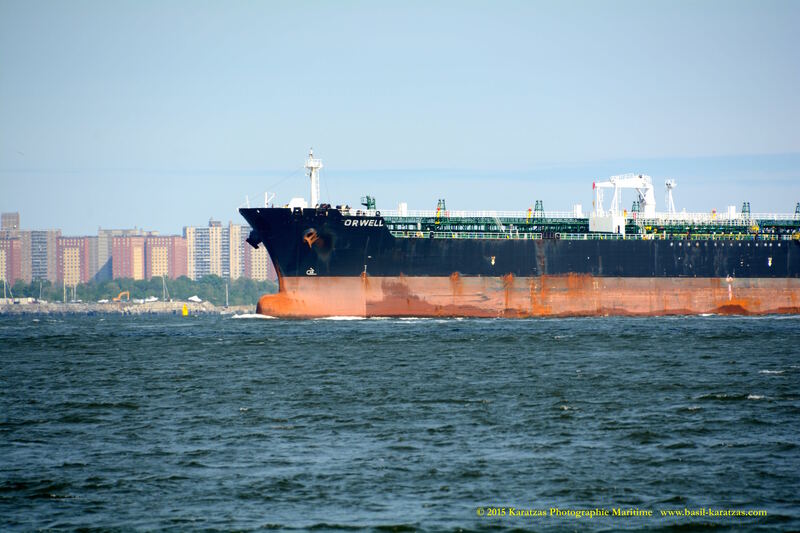 Products Tanker ‘Orwell’ (52,000 dwt, built in 2010 at Hyundai Mipo and owned by a JV controlled by private equity Oaktree) arriving at New York Harbor. Manhattan skyline and World Trade Center in the background. Containership MV “Sealand Washington’ outbound. Karatzas Photographie Maritime. 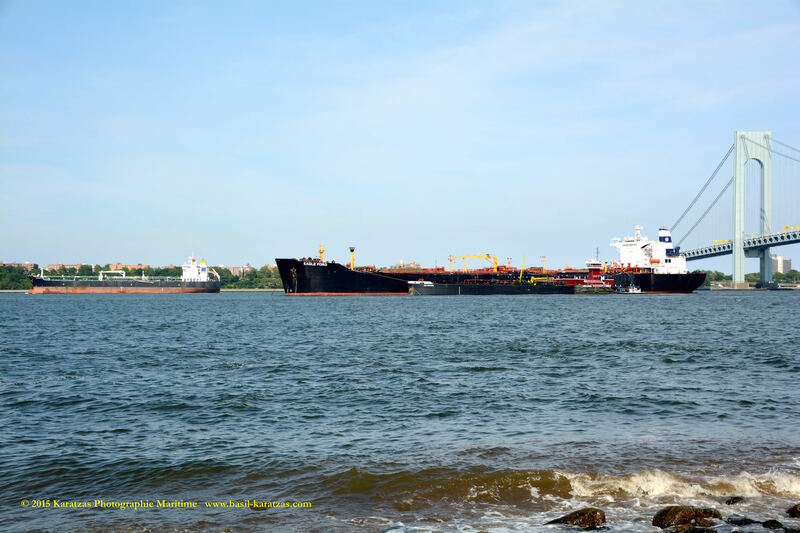 Products Tanker ‘Orwell’ (52,000 dwt, built in 2010 at Hyundai Mipo and owned by a JV controlled by private equity Oaktree) arriving at New York Harbor. World Trade Center in the background. Karatzas Photographie Maritime. 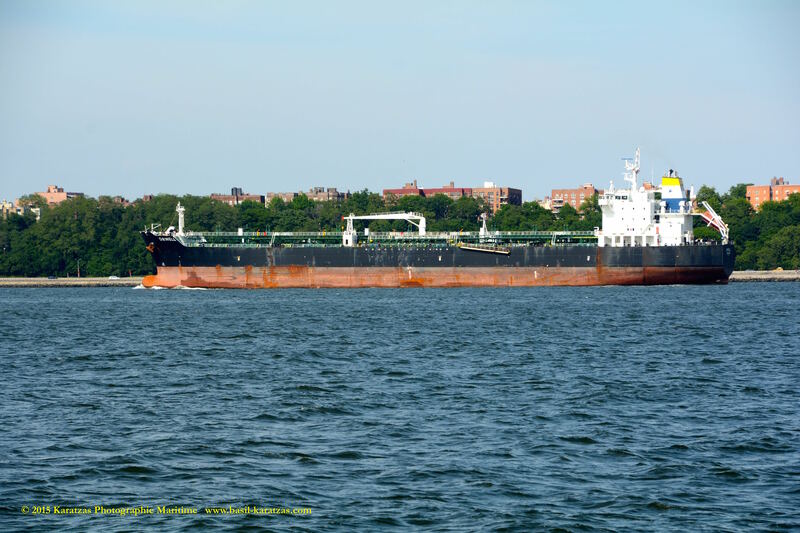 Products Tanker ‘Orwell’ (52,000 dwt, built in 2010 at Hyundai Mipo and owned by a JV controlled by private equity Oaktree) arriving at New York Harbor. 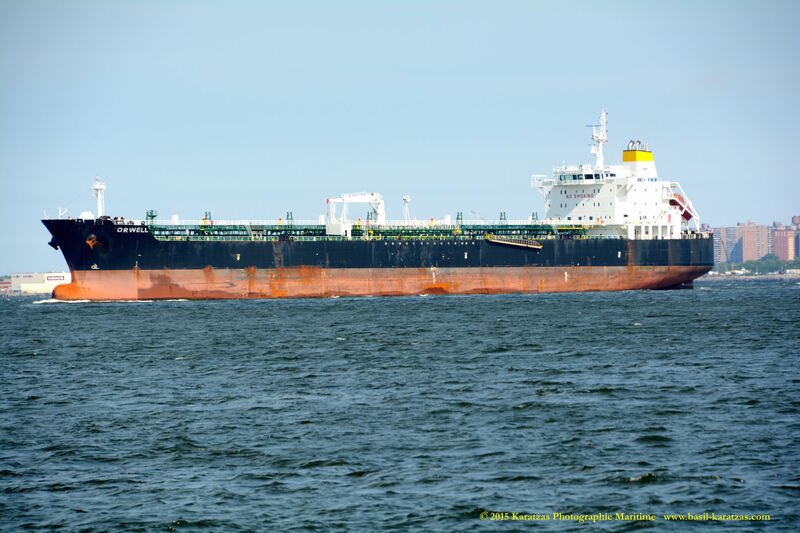 Detail of the bow of Jones Act suezmax tanker MT ‘Eagle Ford’ at anchor. Karatzas Photographie Maritime. 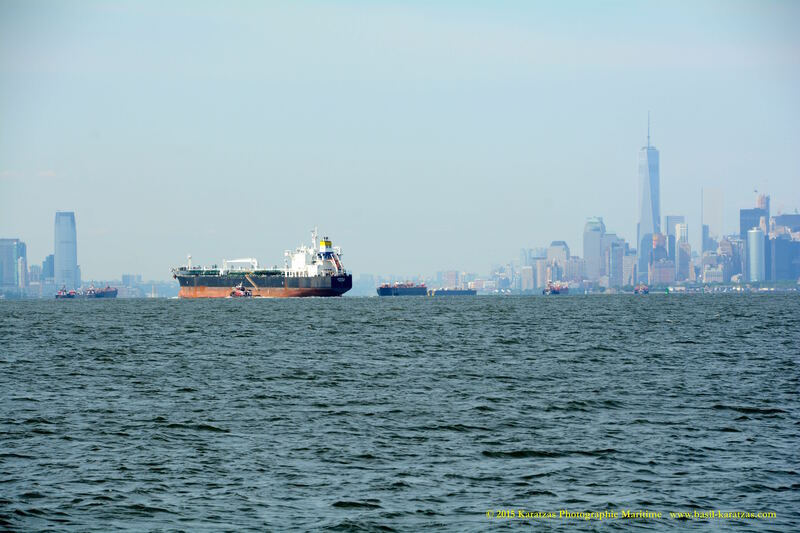 Products Tanker ‘Orwell’ (52,000 dwt, built in 2010 at Hyundai Mipo and owned by a JV controlled by private equity Oaktree) arriving at New York Harbor. Portside bow detail. Karatzas Photographie Maritime. 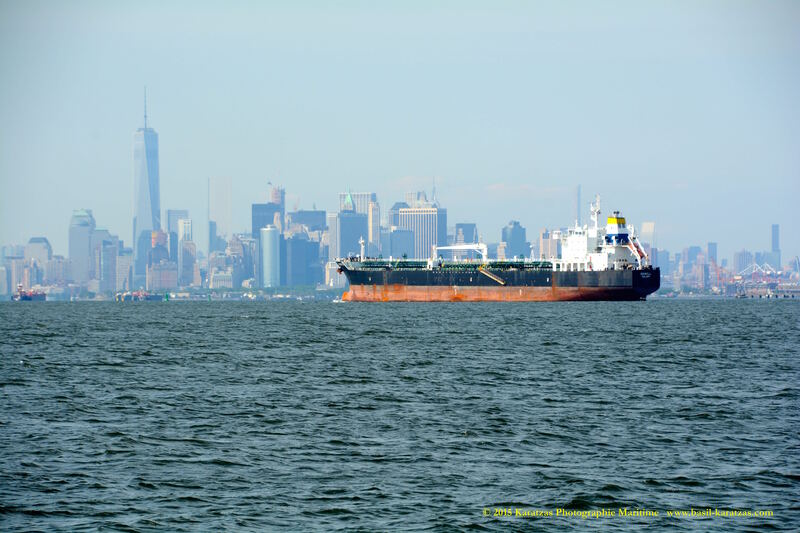 This entry was posted in Port of New York, Tanker, Products & Chemical and tagged Hyundai Mipo, Manhattan skyline, New York Harbor, Product Shipping & Trading Co SA, Products Tanker, Verrazano by Karatzas Marine Advisors & Co.. Bookmark the permalink.